When a lock breaks or a new one is required, some people will try and do the task themselves. With simple DIY skills, you can attempt to do a lock repair or replacement but how wise is this decision? More often than not, fixing locks personally ends up in a disaster. You may take your old locks to a DIY store and asks to get the same one, but the risk of ending up with the wrong product is high. Not every salesperson will recommend what you need. Investing in professional locksmith services like those from CPPM comes with various advantages. Not every broken lock has to be replaced and not every lock issued can be repaired. An expert locksmith will know which services apply where. A door lock can malfunction if the door is damaged, if it’s too old, or if it was forced open. The degree of the damage will determine if it can be fixed or if to get a new one. You may replace a high-grade lock for a simple problem that a professional locksmith could have taken care of, meaning you spent unnecessary money. Sometimes, repairing a lock is pointless and leaves your home vulnerable. Expert tradespeople like those from CPPM understand the complexities of lock replacement and will guarantee top-notch installations. The locks on your door and windows have to meet recommended safety standards for residential properties. For one, the products used must have the British Standard kite mark to indicate they have passed tests by the BSI. BS3621, BS8621 and BS10621 are some of the standards that different types of locks must pass. Whether you have a night latch, Mortise or euro cylinder lock, it must be BSI-certified. Professional locksmiths can tell if your home is fitted with the right products. Insurance companies look favourably on homeowners who meet certain safety standards of home security. You can save a considerable amount on insurance premiums by simply letting professionals evaluate your home’s security and installing the proper locks. At CPPM, you will find only top quality lock brands like Yale, Ingersoll and Banham. Locksmith companies like CPPM do more than just repair and replace locks. For a homeowner getting more than one lock replaced, a professional locksmith can fit a system that allows you to use a single key for multiple locks. Such convenience saves you from having to manage many keys, which is usually stressful. Locksmiths have emergency services that come in handy in various situations. Imagine breaking a key in your front door lock in the middle of the night as you try to get in. Emergency locksmith services will dispatch technicians to fix the problem. Another reason to entrust lock repairs and replacements to professionals is that they have proper tools for the different tasks. 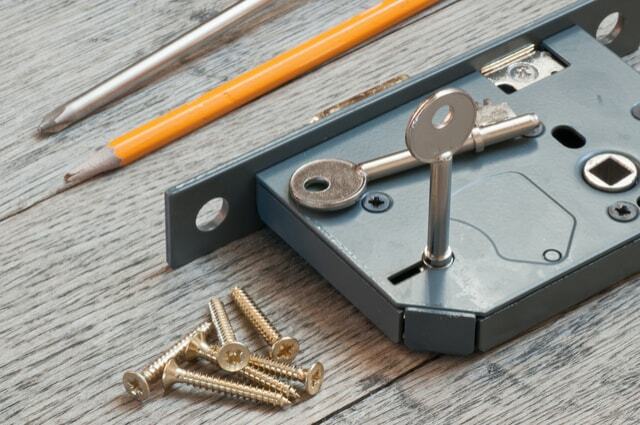 Unlike you, an expert locksmith won’t spend half an hour fidgeting with the lock, causing further damage to its mechanism or door. At CPPM, customers are assured of quality services that are delivered by experienced locksmiths. For window and door lock repair or other home security services, trust a reputable company like CPPM.